When undertaking any PPC services or campaigns, paying attention to the subtle changes in Google Adwords is important in getting the most from the service. While effective, PPC (short for Pay Per Click) plays with some very limited space, requiring the need to offer great content. Recently, news has broken out about some upcoming changes regarding the length of PPC adverts. What has been hinted at for some time, and more recently confirmed, is the experiment with expanded adverts. 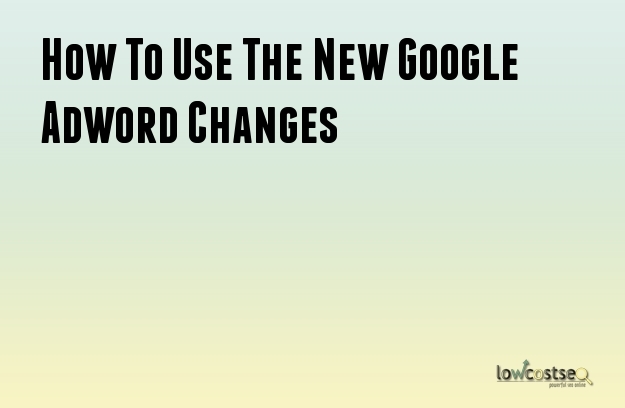 Here, we will discuss how you can make the most of these changes to enhance the effectiveness of your PPC campaign. Currently, PPC adverts offer one 35-character headline, as well as two 25-character lines of text. On top of this, you also have the shortened URL – this isn’t the actual URL itself, so it allows you to create a more attractive link for the reader. However, the new changes will experiment with offering two headlines of up to 30 characters, as well as one line of up to 80 characters. This is quite a big change, as it both changes the ratio between headlines and advert text, as well as increasing the overall available characters and possible text space. How Can This Benefit PPC SEO? The potential for updating your PPC services is clearly quite big but, perhaps more importantly, you should be paying attention to your respective competition. Like any area of effective SEO, those that don’t innovate and adapt to the changes are often beaten by the companies that do. As such, here are a few instant fixes you can do to adopt your existing Adwords campaign. Your headlines can now say more – much more, in fact. Previously, a 35-character headline kept these lines short and punctual. Now however, you have an entire other line to fill. While you could use this for one lengthy title, we recommend using it as a sub-heading of sorts. You still want to grab the reader’s attention as quickly as possible. With 80 characters, your main body of text can be much longer. Previously you had access to 50 characters, but being spread over 2 lines meant having to brake this up into shorter sentences, especially on mobile platforms. Here, you can use 80 characters to really tell customers why you’re product or service is so amazing. Don’t worry about the short, snappy factor, either, as that’s being taken care of in the additional headline space. One of the biggest challenges for any SEO product is to tell as much as possible in as little space. PPC adverts are amazingly small, so any new space should be relished. In short, offer new information, rather than repeating what’s there. If your advert offers “fresh, tasty fruit”, don’t add new adjectives. Offer more information, such as “5 mile delivery” or “hand-picked daily”. New information helps create a bigger selling point, creating a bigger CTR (Click Through Rate) when read.